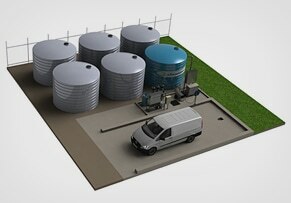 Cleanawater oil water separators will help your operation meet water authority standards. Our range of off-the-shelf coalescing, VGS and hydrocyclone systems are ideal for use in wash-down bays, workshops, refuelling areas, construction sites, transformer bunds and car washes. And thanks to our design and manufacturing service, we can custom design a unit to suit your exact needs. Just tell us what problem you're trying to solve. We'll supply an oil water separator to suit. 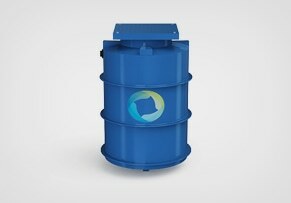 Our oil separator systems are engineered for superior removal of oil from water. 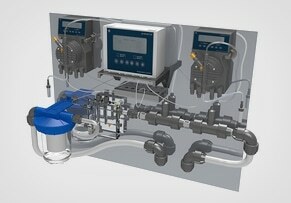 With systems available from 1,000L to 500,000L in capacity, they can extract oil down to 10-15 microns. Because they help you meet water authority standards, you save on costly fines and shutdowns – as well as ensuring you meet your Environmental Duty of Care. They're pre-plumbed, pre-wired and designed to fit existing infrastructure – saving on installation time. And Cleanawater can conduct service and maintenance to suit - ensuring your oil separator system delivers optimal performance for decades to come. A stainless steel coalescing plate separator. A polyethylene coalescing plate separator. Coalescing plate separators used in a heavy vehicle mining wash bay. DEOIL3 (3,000L/hr) hydrocyclone oil water separator installed in a mining wash bay. DEOIL3 (3,000L/hr) hydrocyclone oil water separator installed in an equipment wash bay. 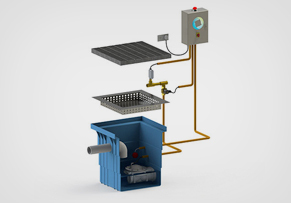 Cleanawater's coalescing plate separators lead the Australian market in removing suspended solids, free oils and grease from waste water. We have one of the most comprehensive ranges on the market – with capacities ranging from 1,000L to 50,000L. Easy to install and maintain, they'll help you meet – and exceed – water authority regulations. 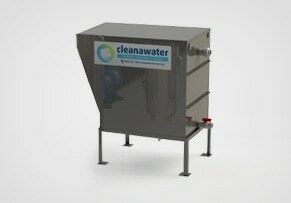 Cleanawater's hydrocyclone systems require minimal maintenance and have a small footprint compared to traditional separators. Harnessing centrifugal force 1000 times the strength of gravity, they're engineered to remove oil droplets to 10-15 microns – as well as other hydrocarbons, surfactants and solids. 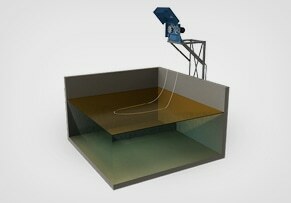 Cleanawater's VGS systems are designed and built to outperform traditional oil water separators. They efficiently remove free oils and grease from water – making them effective in a range of industrial and commercial settings. Their small footprint and optional hot water handling unit make them ideal for commercial kitchens. Do I need a permit to install an oil separator? It's likely – however, the requirements vary between local authorities. Contact your local authority or call 1800 353 788 to confirm if you require a permit. Do I need anything other than an oil water separator? 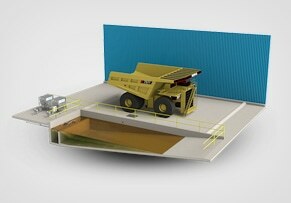 This will depend on your layout and discharge requirements. Standard packages include a non-emulsifying pump, float switches, waste oil drum, galvanised support frame and a control panel. How often do oil separators require servicing? Every 3-6 months, generally. This may vary depending on the amount of sludge accumulated in your process and oil influent levels. Can they be installed outdoors? Yes. Our units are constructed from durable materials ideal for outdoor environments.